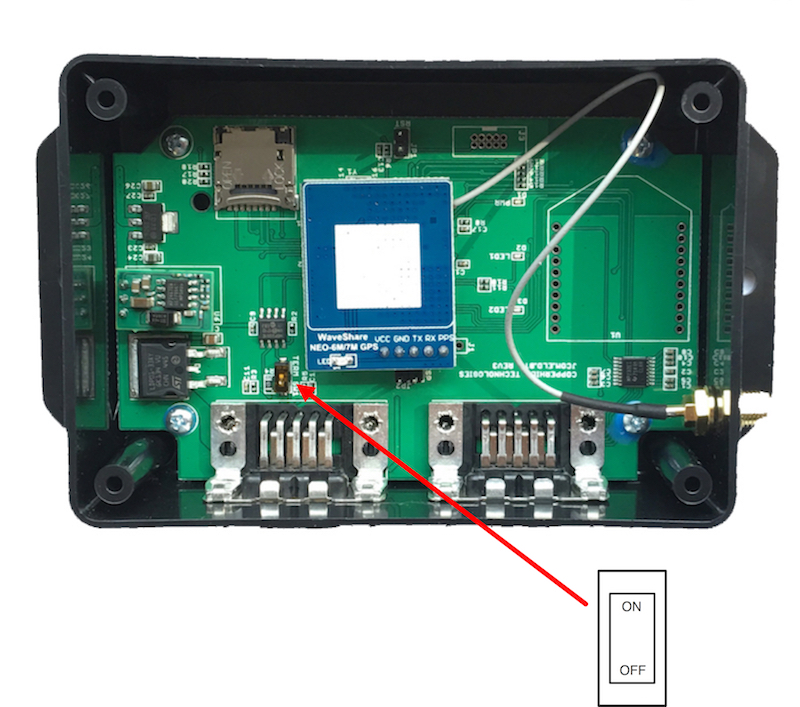 The jCOM.J1939.GPS device connects to an SAE J1939 network and reports the vehicle position (PGN 65267) with a five second frequency, according to the SAE J1939-71 Standard. The integrated J1939 protocol stack automatically negotiates a node address in the range of 128 to 247. The GPS data is broadcast by using the global destination address (255 = 0xFF). The device's firmware can be updated on-site per the integrated RS232 port, which also allows the loading of customer-specific features. The content of delivery includes the jCOM.J1939.GPS module, the GPS antenna (preferred installation location is the driver cabin, i.e. close to the wind shield), and the SAE J1939 cable suited for a 9-pin Deutsch connection. Starting with firmware version 2.0, the jCOM.J1939.GPS device responds to requests for Time & Date (PGN 65254) and Vehicle Direction & Speed (PGN 65256). For a complete user manual and applicable firmware update information, please visit the Copperhill Technologies Wiki website. Please feel free to contact us, in case you need any additional or modified functionality. We can provide solutions within shortest time, and we don't charge when the modifications are minor or help to improve our product. The image below demonstrates the data output of the GPS module (CAN/J1939 port). Line 1 documents the address claim. The application is set up for an address range between 128 (0x80) and 247 with a preferred address of 128. The following lines are valid GPS data (pointing to our Windows 10 PC in our office; we moved the board as far as the cable allowed and changes are visible). 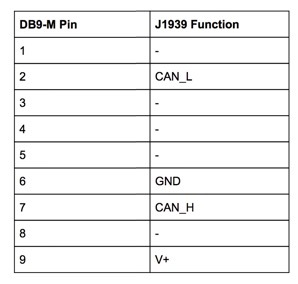 Please note that the SAE J1939-71 Standard uses Small Endian for data transmission, meaning LSB comes first, MSB comes last. Also be aware, it might take several minutes after startup before the GPS module can provide a valid position (Once found, it takes only seconds with clear reception). 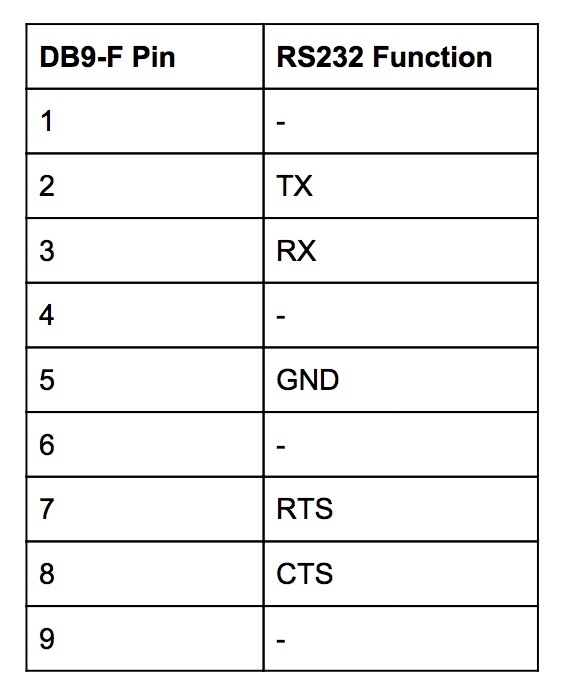 The SAE J1939-71 Standard does not cover such a scenario, i.e. the data output for such a case is not defined. Rather than not sending anything at all, we chose to set all 8 data bytes to 0xFF. In order to allow on-site firmware updates, we have created a simple Windows program that enables the user to initiate the programming procedure (i.e. switching to FLASH mode). Note: You will need a USB-to-RS232 adapter to connect the GPS module to your PC. Any standard adapter will do, but we also recommend using a standard straight RS232 cable, since some of these adapters use hex screws that collide with the RS232 port. As shown above, the Windows software serves not only as a firmware updating tool, it also displays the current position, serving as a proof of concept. In order to check the program versions of either the GPS module's firmware or the Windows programming tool (or both), start the Windows program and initiate the connection to the module by clicking on Start COM. Shortly thereafter, the firmware version will be updated on the screen (as shown above using the example "jCOM.J1939.GPS - Firmware Version 1.00.00"). The Windows program version in this example is shown in the upper left corner as "jCOM.GPS - V 1.00.00." The jCOM.J1939 comes per default with a 120 Ohm termination resistor activated. To deactivate the resistor, open the enclosure and locate the DIP switch as indicated in the following image. Click the button below to add the SAE J1939 - GPS Module With 9-Pin Deutsch Connection Cable to your wish list.